I got an email from a friend today who was asking on behalf of her friend about a vintage Airstream she wanted to purchase. The 1960s trailer was listed for $4,500. The prospective buyer knows nothing about Airstreams except that they’re cool. That has become the number one qualification of vintage owners lately. I don’t like saying it, but that’s a problem. Now, don’t get me wrong. I bought my first 1960s Airstream because it was cool too. But I took a lot of time to learn about them, and shop as carefully as I could, and eventually I scored a usable model that became my learning platform. We still have it; it’s the 1968 Airstream Caravel that we no longer use but lavish attention on nonetheless. While I wouldn’t go so far as to call it a money pit, the Caravel certainly hasn’t been an awesome investment. Even with my attempt to learn as much as possible before buying, I still had a lot of painful lessons ahead, and they cost me plenty. As I mentioned in my prior blog, vintage trailer owners tend to sink more money into their trailers than they are ultimately worth on the open market. The person who wanted to buy the Airstream had dreams of turning it into a rental unit, using it herself occasionally, and decorating the interior herself. That’s all good, but if you don’t have a broad set of skills, lots of time, and a well-equipped workshop, the road from a “basket case” trailer to glamping heaven is paved with glue and cactus spines. This buyer didn’t have any of the right qualifications. So even before I looked at the trailer in question, I could say with confidence that a vintage project probably wasn’t right for her. But to be fair, I took a look at the online photos of the trailer too. Colin Hyde demonstrates a slight problem with this Airstream. This one was actually restorable, although at considerable expense. Define “disaster”: an Airstream shell that has no interior, no windows, body damage, and a rotten wood floor. That’s what most people call scrap metal. There’s hardly any value in that, even if it is a very old Airstream (and 1960s-era is not considered very old in the Airstream world). To get started on a project like this you would first need to find a way to transport it, since with no interior and a structurally deficient floor it would be unsafe to tow. Then you’d need a good work space for two or three years, plus a long list of skills—or a really fat wallet to pay someone else to do all the dirty work. $50,000-100,000 could disappear easily. And yet, this buyer was ready to plunk down 45 hundred simoleons to acquire this decaying shell of an Airstream. That’s the power of desire, triumphing over good sense. 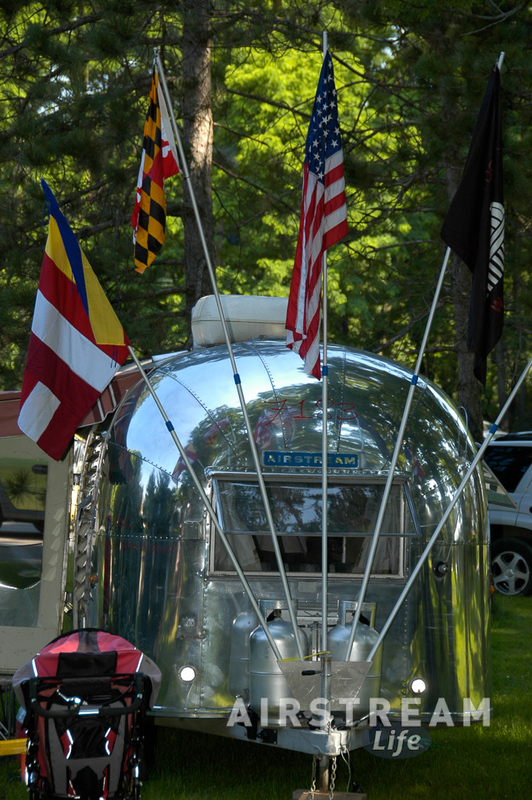 Airstreams are enticing, no question. So I am writing this blog to warn those who don’t know what they are getting into. If you want to get into a project, fine, but don’t buy scrap metal. 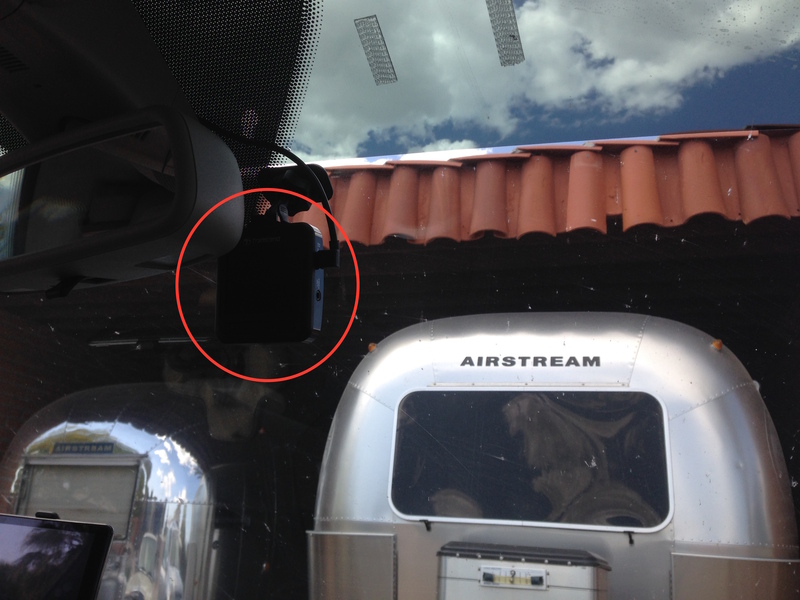 When you see an Airstream with no windows or with missing roof vents, it means it has been suffering water damage for years, not to mention the ravages of rodents and insects. The floor will be rotten. The frame will probably be rusted. The insulation will be compacted and riddled with rodent trails. In short, the trailer is garbage. Junk. Restorable only at a ridiculous cost. If you want a project, buy something that is at least intact, meaning with no major body damage, still sealed against the elements, and complete with all the doors and windows. If you don’t care about the interior because you’re going to strip it out and replace it anyway, at least make sure the structure underneath is still viable. Don’t trust the seller on this—check it out yourself or find someone to check it out for you. If you want to go camping in the next year, or you have a tighter budget, or you are utterly clueless about anything mechanical—buy a nice used Airstream that someone has recently camped in. There are plenty of good ones on the market. They really aren’t rare, and Airstream keeps making more of them. Most people will be happier without the horrible learning curve of buying a junker. To those who make a sideline business out of selling scrap Airstreams to clueless buyers for outrageous prices: you should be ashamed of yourselves. Yes, if they are willing to pay and you don’t hide anything, it’s ultimately the buyer’s responsibility. But really, do you sleep well at night? Do something positive and help people by selling worthwhile trailers. Take the junk where it belongs: the recycling center. Are you ready for a vintage project? I got a call today from a good friend who is considering whether to plunge into an Airstream project. 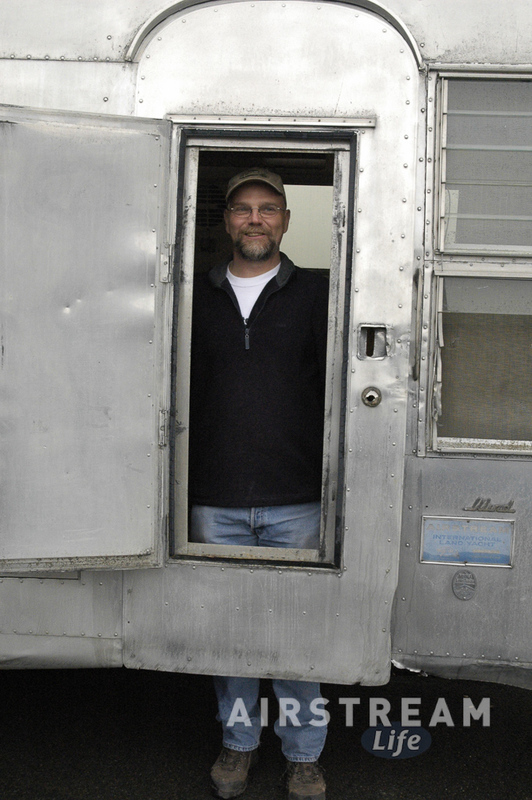 He’s got an older Airstream Classic 310 motorhome, which is one of the early models with an aluminum body. Those old Classics are basically an Airstream trailers mounted on a bread truck chassis, and the only major difference is the length. Last night I met another friend at a doughnut shop to talk about a possible 1965 Airstream Safari project. Very different from the motorhome, but the basic issues were the same. Both of my friends wanted to get my opinion on the projects, and some insight as to whether the Airstreams were worth the effort. After these conversations I began to think about all the times I’ve been asked by people about their vintage projects. Since starting the magazine in 2004, and working on a couple of my own vintage projects, I’ve probably seen several hundred vintage trailer restorations, refurbishments, and customizations. I have no idea how many we’ve published in Airstream Life but certainly dozens. 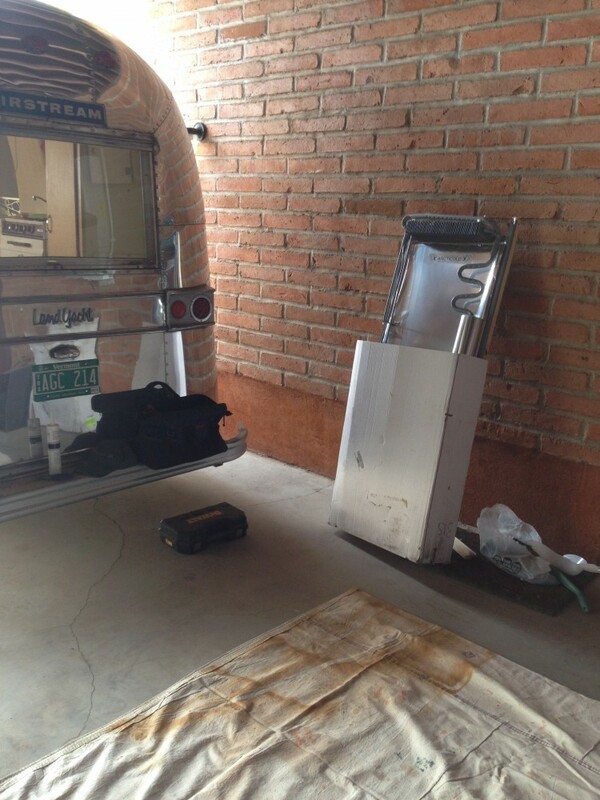 Vintage Airstream projects are always happening. Some never stop, and many never are finished. There’s always someone who wants to decide whether it makes sense to tackle a project, and I guess that’s why it’s common that I get asked about it regularly. I’ve come to realize that it’s not the trailer or motorhome you start with that really matters. Certainly you can make your life a lot easier if you start with something that’s not a total wreck, but the real determinant of a successful restoration is the person who takes on the challenge. Not only do you need to have (or acquire) some skills and knowledge, but you also need to have a commitment to the project. A full restoration takes a lot of time. Sure, you can do a shabby job in 100 hours, but I’m not talking about those sorts of “eBay restorations” where someone makes over a vintage trailer cosmetically for quick re-sale (hint: look for a quickie polish job that looks swirly in bright sun, black-and-white checked floor, and Coca-Cola memorabilia) or ignores serious structural problems, or dumps a bunch of household cabinetry and appliances into it (thus turning a lightweight travel trailer into an unbalanced and crippled condo on wheels). A more sensitive and attentive vintage restoration or customization (the difference being whether you try to match the original intent or modernize it) will go deep into the Airstream and take hundreds of hours, at least. How deep? As deep as it takes. Typically this means gutting the interior (saving re-usable interior appliances and woodwork), dealing with frame rust and floor rot, and replacing lots of parts that won’t be noticed by the average person but which really matter. 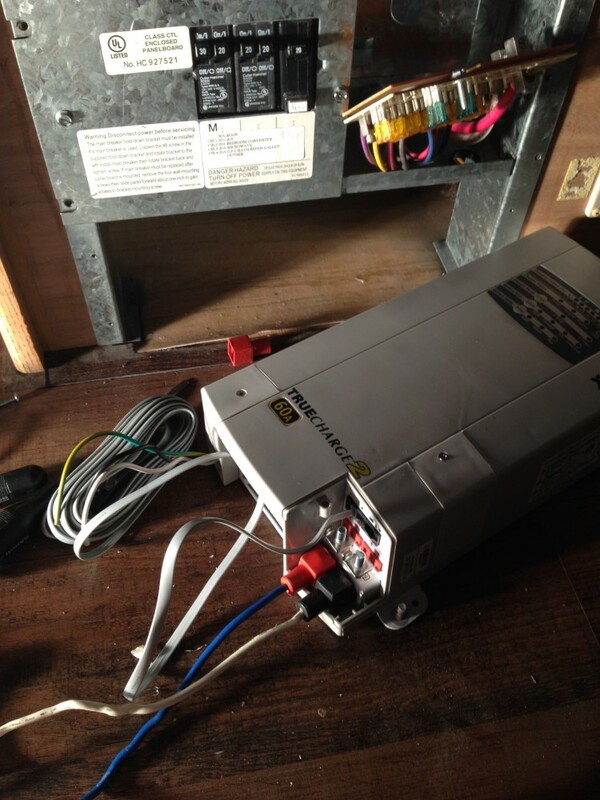 I’m talking about parts like under-floor insulation, wiring, and plumbing. You work on these things because you don’t plan to flip the end product for a quick buck. You work on these things because you want to end up with something that respects the intent of the original Airstream: light weight, structurally strong, travel-worthy on any road and in all weather, and efficient with resources (water, propane, electricity). 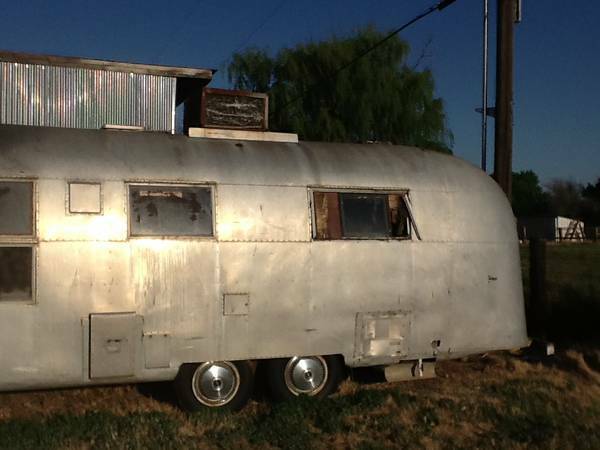 That’s how the Airstreams were designed, and it pains me to see vintage “restorations” which eviscerate that intent. 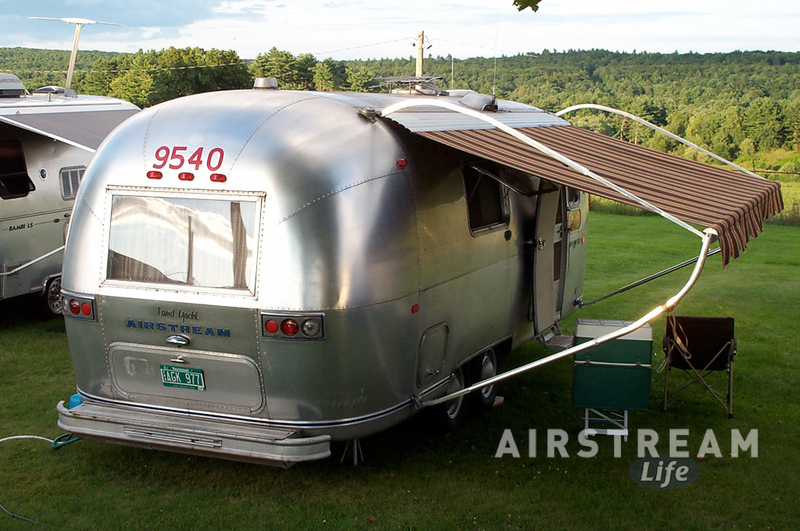 Of course, there’s no law that says you have to keep an Airstream true to its original design. Many cool and creative new uses have been found for old Airstreams, and I respect that because it’s a great example of adaptive re-use. Unlike just about every “white box” travel trailer or motorhome made in the last sixty years, Airstreams have an amazing capacity to be re-used as pop-up stores, promotional trailers, coffee shops and cafés, toy haulers, meeting rooms, and art. Make an Airstream into anything you want, but if you are going to make it back into a travel trailer, at least be sure it’s a good one. Sometimes people go a little crazy on their restorations. I have seen friends lavish so much attention on every detail that they’ve spent 2,000 hours or more, working night after night in their garage to produce a museum-perfect restoration. Others I know have spent well over $200,000 on a personalized vintage Airstream. I’m not sure there’s anything wrong with that. 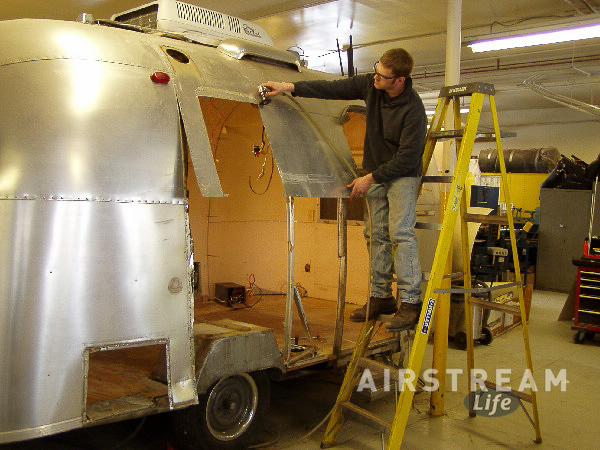 Like concours-quality automotive restorations, those Airstreams are inspirational. Here’s to the crazy ones; we need them to show us the ultimate standard, even if we aren’t going to achieve that level ourselves. To the friends I spoke with this week, I gave the same basic advice: don’t look so much at the trailer you’re starting with. Look at yourself. Guaranteed: the project will take more money and more time than you expected, and you will definitely “invest” more money than the outcome is worth on the open market. Those things don’t matter. What really matters is whether a vintage restoration is how you want to spend your time and money. If you just want a trailer to go camping, there are easier and quicker routes. A full-blown vintage restoration is not a practical thing, it’s a commitment to the point almost of being a lifestyle. If you sell the project after you’ve started, you will lose money. Do it not because it makes any sense, but rather because you really want to do it. And, I should mention, because you really want to be seen in it. Let’s face it, a big part of the reward for spending countless nights and weekends painstakingly re-building and installing parts is the praise and admiration the vintage rig generates once it is on the road. People love to see cool vintage trailers and motorhomes. 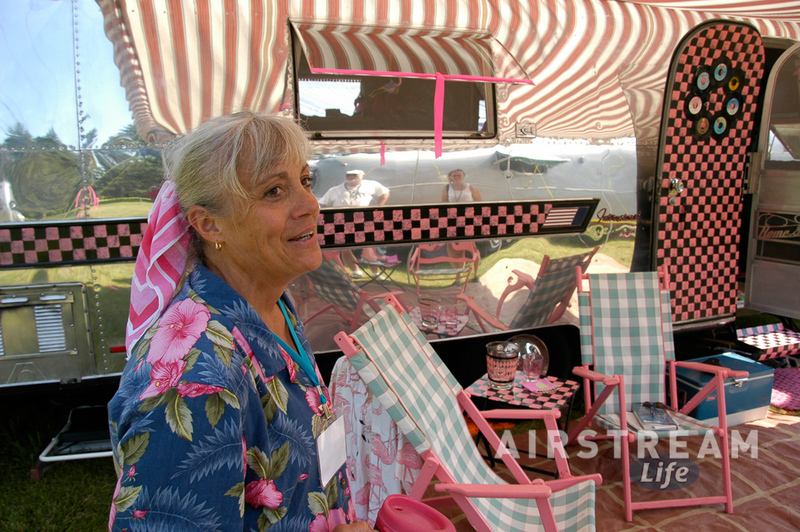 You’ll get invited to be in vintage shows, and random people in campgrounds and parking lots will ask for tours. A really good restoration makes you a celebrity—or to be entirely accurate, it makes you the manager for a celebrity. Likewise, if you really need the finished product because your life-long dream is to operate a mobile coffee shop or kettle corn popper or pop-up store, you might have good motivation to do a good job and actually finish it. But don’t look solely to the reward. You have to enjoy the process. If you see the project as a chance to learn new skills, demonstrate your chops as a woodworker/ plumber/ electrician/ interior designer/ upholsterer/ polisher/ metalworker (and all those skills do usually come in to play at some point), or just have an excuse to buy lots of new tools and set up a cool workshop, you’ve probably got a good motivation to tackle and finish a vintage Airstream project. Having done a couple of projects, I feel I’ve learned a lot that I could apply to another vintage trailer. The third one, I’m certain, would be much easier. Once in a while the temptation arises, but I’ve been able to quash it on the grounds that I don’t have the working space or the time to devote. (The fact that I have absolutely no need for a third Airstream in my life hardly enters into it. As I said, you do these things for no practical reason.) Someday perhaps I will have that free time and working space, and then I’ll have to fight hard against the Siren call of aluminum. In the meantime, I wish my friends well as they consider their projects. If they take the plunge, I hope they commit to the fullest because that’s how they’ll get the best result. And I’ll be happy to pitch in when I can or provide long-distance advice. If you can’t do a project yourself, it’s almost as gratifying to see someone else do a good job on one. 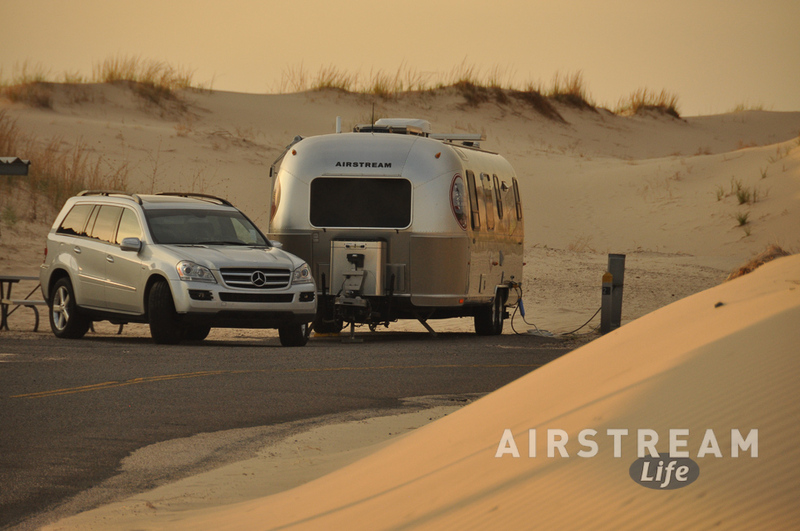 We’ll have more projects in future issues of Airstream Life magazine, too. I don’t have to look at the calendar to know that time is running out to get my annual Airstream repairs and upgrades done. I lost a lot of time this winter with other projects, plus Alumafiesta and Alumaflamingo, and now I can feel the looming deadline of mid-May. That’s when we have to hit the road to go to Alumapalooza, and begin our summer of travel, and so that’s when the Airstream must be in top shape. 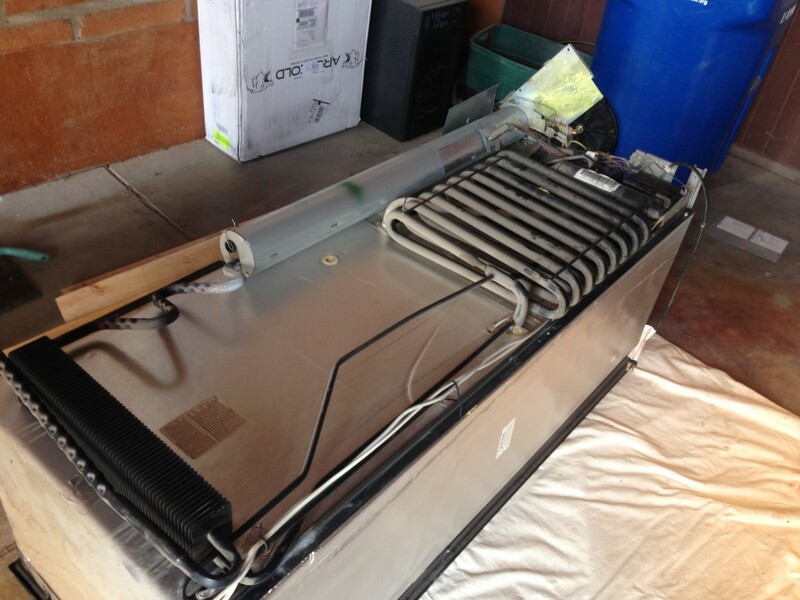 Some of the projects just aren’t going to get done this year, but one that could not be passed by is the replacement refrigerator cooling unit. It arrived on time (from the second vendor I chose, one that performed reliably) but then I was too busy to get to installing it until just last weekend. Replacing the cooling unit isn’t too bad of a job for two people, but doing it solo it would be a giant pain. First, you’ve got to get the entire thing out of the Airstream, and my fridge weighs about 120 pounds, plus it had to be lifted over the countertops. I called on my friend Patrick to come over and help out with the job, which he was kind enough to do. Fortunately, he’s also quite strong, so while it wasn’t a picnic to hoist the refrigerator, it wasn’t too awful either. Although the new cooling unit came with directions that did point out a few handy tips, I wouldn’t say it was a slam-dunk sort of job. There are lots of small differences between models, and the directions could only give general advice. A few parts ended up being unneeded on the new unit, such as the Dometic “recall box,” and we had to slightly modify the mount for the burner assembly, and drill a hole for the thermistor wire … and drill a few other holes as well. 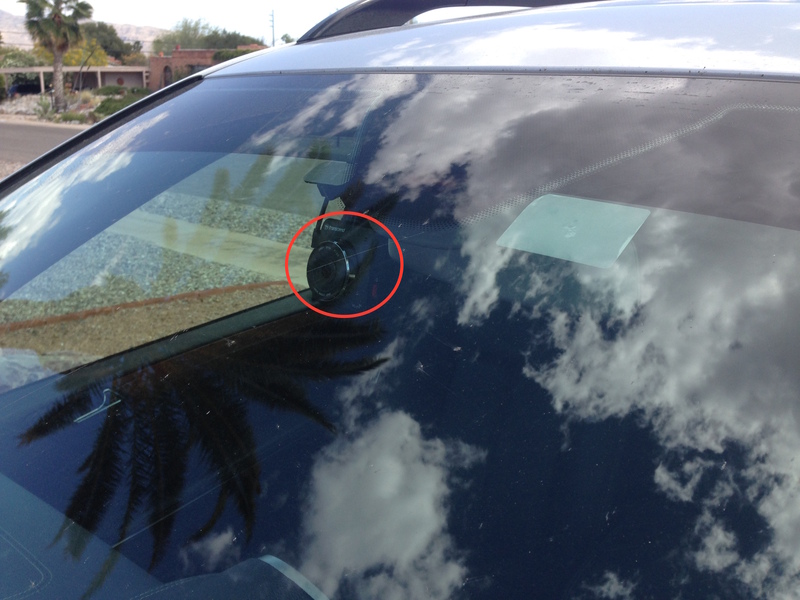 You definitely need to have a good toolkit to do this one. Moral support from a friend helps, too. In the photo below, you can see the old cooling unit, complete with the yellow stains of refrigerant that leaked out when it died. That residue sticks to the metal and corrodes it. We chucked most of the contaminated metal and cleaned the burner tube. Re-installing the refrigerator includes four screws on the front, two large screws on the back, an AC plug, two 12v wires, and a gas line. Not too bad after you’ve pried the guts off the fridge and replaced them. We were careful, so I was pretty confident the refrigerator would work when we finally re-installed it, but still it was nice to stick my hand in the freezer door a couple of hours later and find it already cold. Alas, it was around that time (long after Patrick had gone home) that I discovered my mistake. During re-assembly we had noticed that the condensate drain was too old to use. It kept breaking apart, so we finally removed it and made a note to get a replacement drain later. This seemed like a fine plan until later that evening when I realized that it is impossible to install a new drain tube while the refrigerator is installed—at least on my particular trailer. So sometime next week, Eleanor and I will disconnect (four screws, two large screws, AC plug, 12v wires, gas line again) and pull the refrigerator out partially so she can skinny her way into the fridge compartment from the outside and try to attach the new condensate tube. I hope she can do it, otherwise we’ll have to remove the refrigerator entirely. While the refrigerator was out, I took the opportunity to run a final line for the Xantrex TrueCharge 2 that I had installed the week before. The TrueCharge 2 was my answer to some battery charging issues I’ve encountered, which I’ve discussed in prior blog entries. 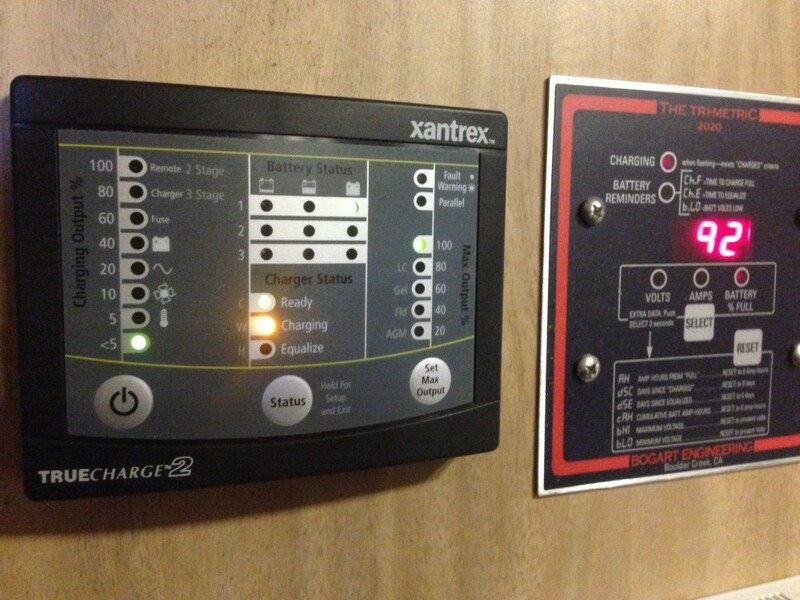 The Xantrex TrueCharge has an AGM mode, ideal for the giant Lifeline 4D battery we are using. Since it came with a remote panel, I decided to install that on the wall by the refrigerator, since having the fridge out made it easy. The remote panel doesn’t really do anything that I need, or provide much information that I can’t get from the Trimetric right next to it, but it looks cool. I’ve written a full review on the TrueCharge 2 which will appear in an upcoming issue of Outside Interests. If you are wondering about that, go to the Outside Interests site and subscribe (free). We’ll send you an email when the next issue comes out. But if you want the bottom line, I like the TrueCharge 2 a lot and would definitely recommend it. The TrueCharge 2, by the way, fits with room to spare in the space of the factory charger. I did a little surgery to remove the heavy metal tray of the old charger, and then just slipped the Xantrex unit in and screwed it down to the floor. It’s a great unit but I’m not sure if it’s in time to save the battery. The battery doesn’t seem to want to take a full charge anymore, and if it doesn’t start acting normally after a few charge/discharge cycles this summer, I’ll be shopping for a new one. We’ve gotten five years out of it, which is less than I would expect from an AGM even in fairly heavy use, so it’s a little disappointing.. I suspect the chargers we had installed before the Xantrex had something to do with the short life—they weren’t giving the battery a full charge sometimes. Oh, one other thing: I ordered a set of aluminum Worthington propane tanks, and they finally arrived after months of backorder. They have replaced the original steel tanks that were starting to get rusty. I like the aluminum tanks even though they cost a lot more, for their lighter weight, and their long lifespan. The propane tank hold-down required some slight modification to accommodate the tanks, but otherwise it was a simple upgrade. The old tanks got sold on Craigslist for $30 each. With the mandatory repairs out of the way, I can concentrate on the little things and the “nice to have” stuff over the next four weeks. I’d get into some bigger projects, that’s all the time I’ve got to get the Airstream ready for the road. Come mid-May, we are outta here and the Airstream won’t come back home until September, maybe October. We’ve got some big travel plans this year. You’re invited along, of course.